Live a healthy lifestyle without going hungry or giving up delicious food. Nadia Damaso loves food, but also loves to be healthy. 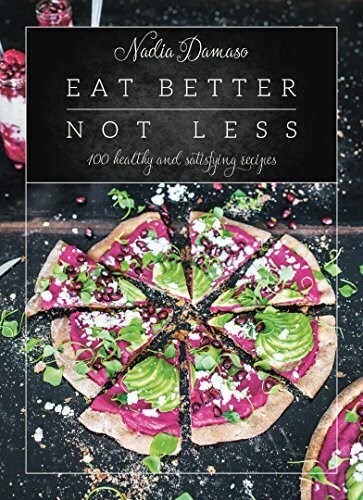 In Eat Better Not Less she proves that healthy food isn't boring, and filling your body with the right ingredients can make you feel amazing. Instead of giving up on carbs and fats, Nadia will show that by choosing the right ones, you can still enjoy chocolate and pizza now and then too. Her philosophy is all about moderation, and making recipes easy for anyone with a busy life. With recipes for vegans, vegetarians, and meat-eaters alike, there really is something for everyone.